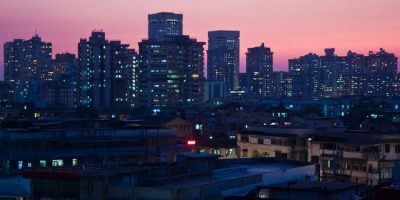 When Navi Mumbai resident Madanan Sankara Marar, 60, took retirement from a full-time job in 2016, he wanted to use most of his savings to trade in the stock market. He also attended a short-term course on stock investing to improve his knowledge. When he started investing in stocks, he soon realized that he was losing money. That realization led him to meet Prakash Praharaj, founder, Max Secure Financial Planners. “The Marars had a very contrasting view on investing. While the husband had a very aggressive risk appetite, the wife had very little risk appetite. So the task was to convert Madanan from an aggressive investor to a moderate one and his wife from a conservative investor to a moderate one. We have had success with Madanan but his wife needs to increase her risk appetite,” he said. 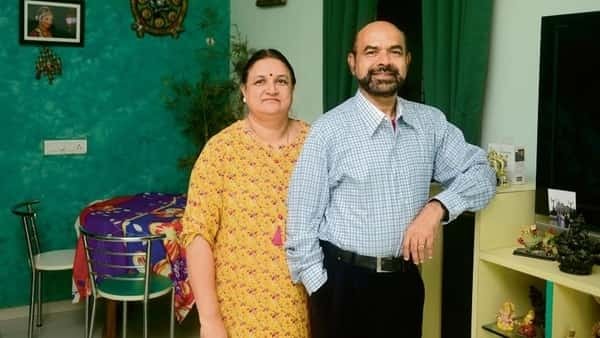 Thankamani Marar (55), Marar’s wife, is the dean at the Faculty of Science and Technology at DY Patil University in Navi Mumbai. She said that she is most comfortable with keeping her money in bank deposits. Praharaj advised the family to have an asset allocation of 50:50 in equity and debt for their financial goals. However, Thankamani was not keen on market-related instruments like mutual funds. Accordingly, an asset allocation of 60:40 was decided for the family. Investing in stocks recklessly was not the only mistake Madanan made. Like many others, the Marars also ended up having more than half of their assets invested in real estate. “I have been trying to sell off one of my properties for about a year now as the returns are very low while my financial investments are giving a return of over 10%,” said Madanan. He plans to divert the money from selling the property into mutual funds. The other mistake that he made was buying insurance policies as an investment. “I still have some policies that I am continuing so that I do not lose all the money. I will discontinue it when the five-year investment period is completed,” he said. Moreover, he had also been making some mutual fund investments over the past few years for tax-saving purposes. Most of those investments were in different equity funds and some in balanced funds. “It was very scattered. So we had to work on bringing all of that together and then reducing the equity exposure and increasing the debt exposure to reduce the risk,” he said. The couple has no financial dependants and responsibilities now. Their elder daughter is married and the younger son recently completed his education and has started working. “We just want to be sure that we will have a regular flow of income post-retirement. We also want to travel to different places before we are too old and unable to do so,” Thankamani said. Madanan is also fond of travelling and road trips. The family makes it a point to take a 10-15 day foreign holiday each year. Madanan also likes to spend time caring for animals. He wants to spend more time on his hobbies apart from the freelance work that he does currently in the oil and gas industry. Right now, he said, he is planning to utilize his existing savings so that it generates a stable stream of income for his retirement. “My learning has been to not invest in the wrong products and to focus on goals rather than just the returns that can be generated out of investments,” he said.